Above: Baltimore Brew made steady fundraising progress to – and beyond – its $15,000 goal. Before we leave this Kickstarter campaign and get back to work, we thought we’d give you some of the numbers behind the $24,624 that was generously pledged to Baltimore Brew. New York-based Kickstarter (here’s an Economist Q & A with founder Perry Chen) is one of the best known “crowd-sourcing” websites around. For a good overall look at the subject, here’s Urbanite’s November piece on crowd-funding, which discussed not just Kickstarter but Baltimore’s own online giving platform, GiveCorps. Anyway, since Kickstarter gives you beaucoup metrics about how your campaign progressed, we thought we would pass some of them along to readers. 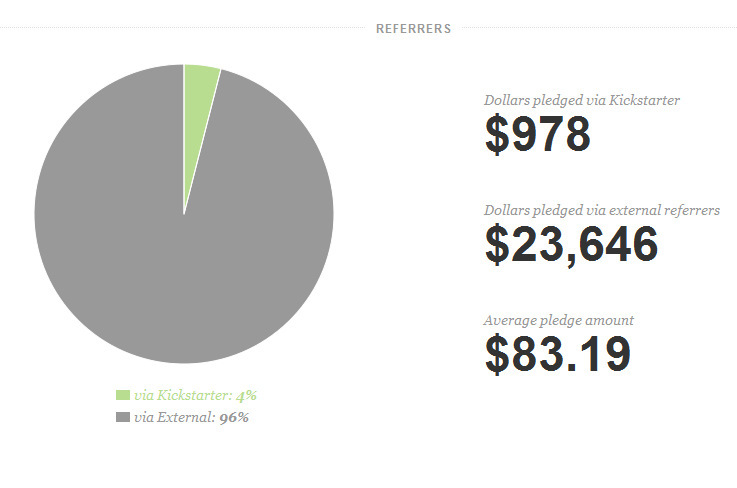 Here’s a chart that shows how much of the pledge came from people who found us via the Kickstarter page: $978 or 4 percent. And our average pledge was $83.19. Here are the top four referrers. 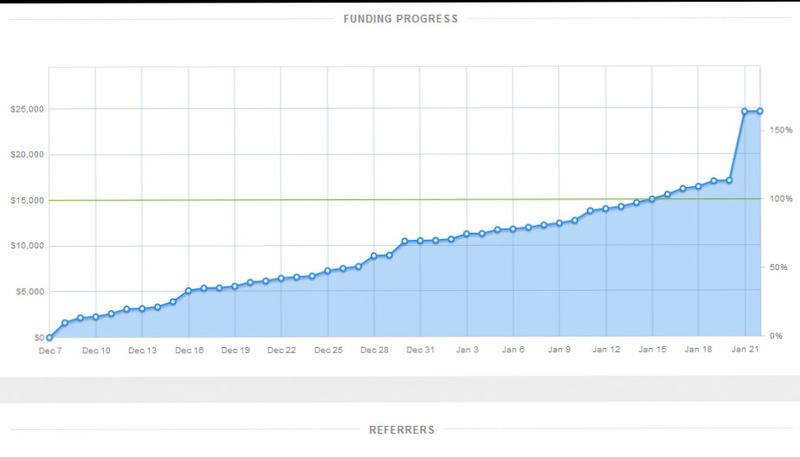 It seems the overwhelming majority of backers were readers who found us through our site. 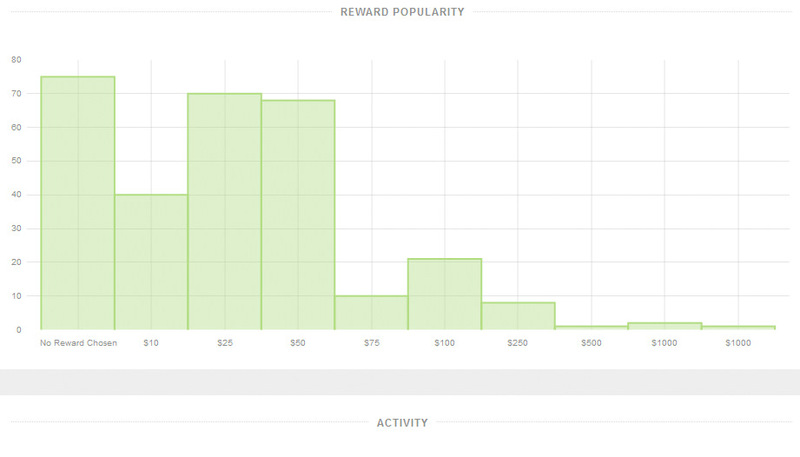 Finally, here’s a chart about reward popularity. Most people chose “no reward.” Either they’re good with mugs or they want to save us the expense. Anyway, thanks guys. Most chose "no reward." Of those who want one, the $25 and $50 rewards were most popular. One part of the campaign for us is definitely not over. We’ll be working to fulfill our reward promises to you in the coming weeks and months. Watch The Brew’s “Below the Fold” blog for news about that.